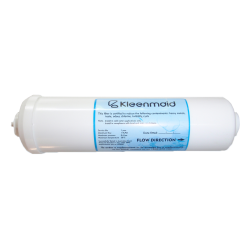 We stock a wide range of fridge water filters to suit the current range of Kleenmaid Fridges. 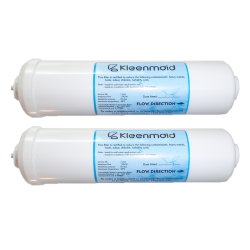 2 x Kleenmaid WF020 compatible Inline Fridge filter with straight quick connect fittings. 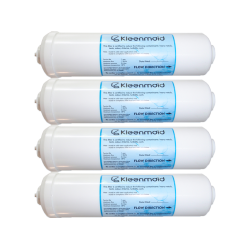 Please note this is a premium fridge filter Made in USA 1 Micron Absolute Rating This filter is certified to reduce the following contaminants: heavy metals, taste, odour, chlorine, turbidity and cy..
4 x Kleenmaid WF020 compatible Inline Fridge filter with straight quick connect fittings. Please note this is a premium fridge filter Made in USA 1 Micron Absolute Rating This filter is certified to reduce the following contaminants: heavy metals, taste, odour, chlorine, turbidity and cy..